The kit can be built as either an early or late variant so you will need to k eep in mind which one you are doing during construction. There is really little different between the two, but it is nice to have that option. With a fully detailed engine, transmissions, suspension and winch (for which you have string for the cable), this is not a curbside. Easily half of the construction is for this part of the kit. The individual track links add to the level of realism. Not only are the track links separate, but so are the track pads. Now this is the artillery version so it is lacking the back seats fitted to the previously issued pioneer kit. In its place, is a large cargo area that can be fitted with various packs and tools for the gun crew. 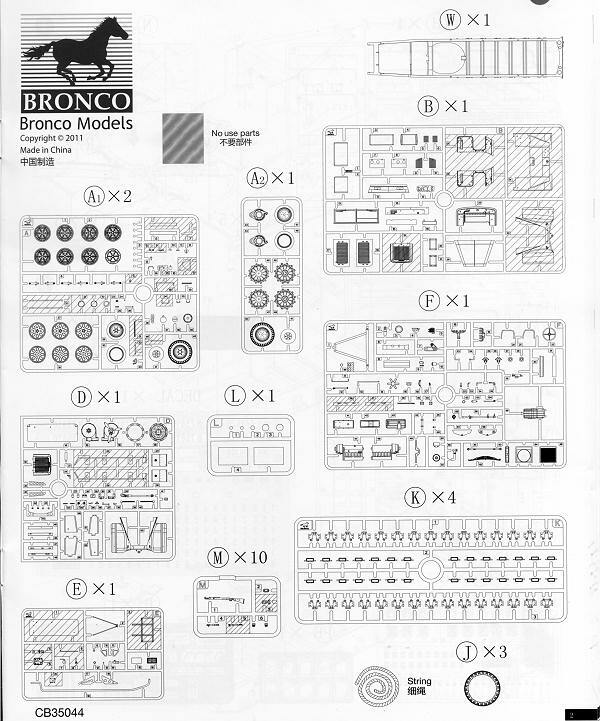 Bronco has some of the best instructions in the market and this set is no exception. The construction sections are superbly drawn and not at all crowded together as one sees with some others. This makes the build go smoother, in my opinion. Color information is supplied where needed using a variety of paint company options. 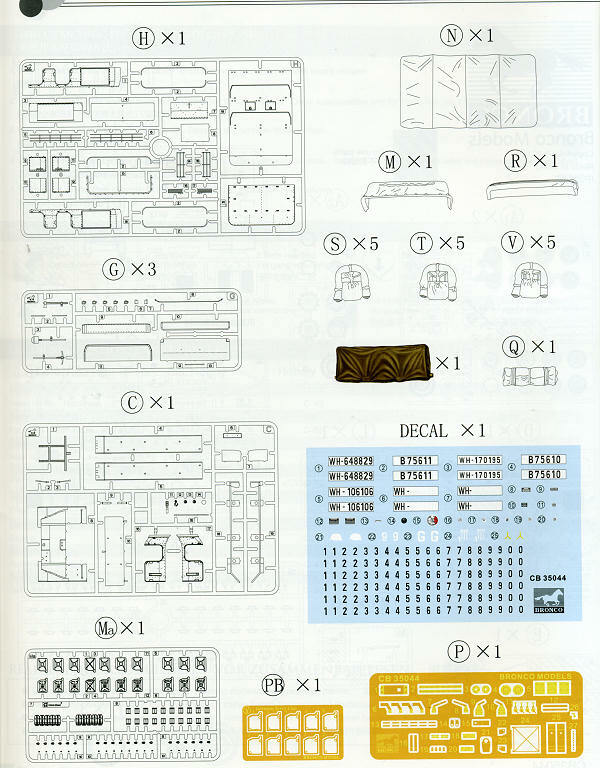 This particular kit has several addendum pages to take care of a newly tooled sprue and the change in sprue part numbers. 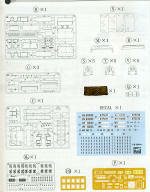 There are markings for eight vehicles, though you could easily do any one for which you have a photo. 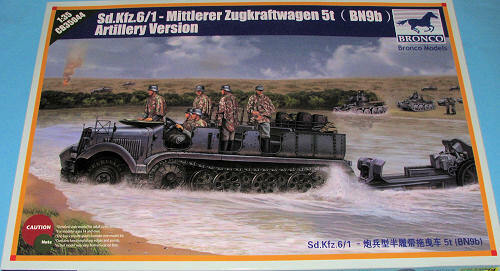 Most are in Panzer Grey and from unidentified units. Two are in Panzer Yellow with brown/green splotches from late in the war. he one identified is in Panzer Yellow with the 21st Panzer Division in Libya during 1942. 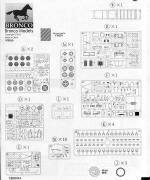 As mentioned, the decal sheet has license plates for the eight markings options as well as a blank plate and a variety of letters and numbers. Instruments are also on this sheet.